There’s a new store brand in the neighborhood and if you’re a savvy shopper, it’s one you need to know. Food Club, found exclusively at your local grocer, is the secret to shopping smart and saving big. Food Club offers national-brand quality at lower prices. Plus, Food Club has a double money back guarantee, so you can shop with confidence. Food Club has a tremendous legacy, pleasing shoppers since 1945. Since that time, Food Club has been the premier choice for local grocers. With more than 2,600 items, each with a double-money back guarantee, Food Club offers great quality at affordable prices. Newly redesigned labels, tested with shoppers, have product benefit “bubbles” on front of each package making healthy shopping easier. Plus, “Essential Choice” products feature light-blue packaging and calls out special benefits including low fat, low sugar and low sodium, helping shoppers make smarter choices. 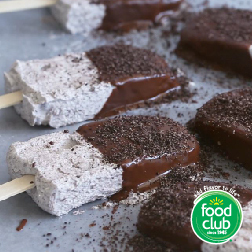 Food Club…Add flavor to life. Today’s shoppers are interested in making better decisions to care for their health, family and communities. They want to save money where they can, so they can splurge on the things that are most important to them. 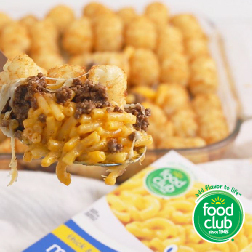 Food Club has over 2,600 items spanning categories across the store including grocery, dairy, and frozen, that are designed to satisfy. 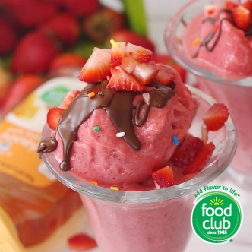 From family meals and treats for kids to indulgences for entertaining and better choices for dietary lifestyles – Food Club delivers big-time benefits. Click here to learn more about our exclusive brands. With so many options, it can be challenging to know you’re buying the best. After all, you want top quality, great taste and fantastic prices. That’s where Food Club comes in. Food Club offers national-brand quality at lower prices. Plus, Food Club has a double money back guarantee, so you can shop with confidence. Whether it’s ingredients for that top-secret recipe, or a quick and easy meal solution, Food Club offers you the taste and quality you want at prices your wallet will love. To view our weekly ad with all our specials, click here. While price is certainly important, so is living a healthy life that will keep you both happy and active. Food Club is thrilled to offer both! With Essential Choice items, Food Club makes it easy to find healthier options at your local grocer. With its iconic blue packaging, Essential Choice items make identifying lower fat, sugar and sodium items a snap. Along with the blue color, Essential Choice items have an active lifestyle ribbon and icons with the information you need to make great decisions. When you shop for groceries, you’re counting on consistent, high-quality every time. Food Club products follow incredibly ridged quality testing to ensure every package exceeds expectations. 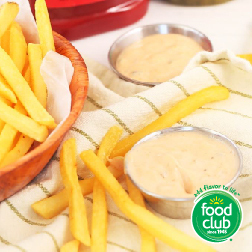 Since 1945, Food Club has been a trusted friend in homes across America. Food Club is so confident in its quality, it backs up every item with a double-money back guarantee. It’s quality that just won’t quit. 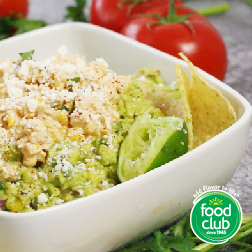 Food Club is constantly expanding its selection as new products and flavors become available. In fact, hundreds of new items have been introduced over recent years and more are on the way. 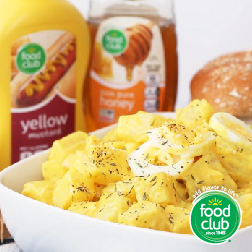 Plus, convenient, easy-to-open packaging and other innovations make Food Club the perfect choice for you and your family. Combined with other exclusive brands like Culinary Tours and Full Circle, our store is ready to deliver the trendy tastes you want at prices that will make you smile.